I loved Colin's book Sailing from Byzantium, which is why I got this.This enirely lacks the delightful writing of Sailing.It's got tedious chapters on political succession, quite boring. I needed a good introduction to the Roman Empire that hit the highlights without being too lightweight. This book does just that. Colin Wells discusses Roman history beginning with the conquest of Jerusalem in 63 BC. You read about the rise of Caesar Augustus, who eventually defeated Antony and Cleopatra to become the sole ruler of the empire from 30 BC-14 AD. Augustus expanded the empire as far as Spain and built many temples and buildings and aqueducts and kept the Germans and Parthians at bay. Tiberias became emperor in 14 AD and ruled into his death in 36 AD. You then read about the mentally unbalanced megalomaniac Caligula and the physically handicapped but competent Claudius. He gets executed and is succeeded by Nero, who promptly has his mother killed. Nero was a patron of the arts and built many gardens and gymnasiums, but he was paranoid and mean and many suspect him to be the culprit behind the fires that burned down sections of Rome (though the author of this book doesn't tell you whether or not he thinks this is true). You then read about the humble, but capable emperor Vespasian, the self-centered and widely disliked Domitian, as well as later emperors like Hadrian and Marcus Aurelius. There is also a chapter discussing the sources of Roman history, with an emphasis on the historians Tacitus (who fails to be completely objective and seems to dislike Tiberius in particular), Suetonius, and Dio Cassius. You also learn about the appointment of prefects and consuls, the building of the Roman roads for military travel, the state cults, the pagan cults, and the attitude of the government toward Christians and Jews. The only fact that I saw that was wrong was when the author credited Pontius Pilate with a quote that was actually made by Caiaphas the high priest in the days of Jesus. There are more names mentioned than what you will remember, and you might wish that the author expressed more of his own judgments on debatable matters. You might also be misled by the title into thinking that the book covers the whole span of Roman history (it only covers up to 261 AD). But it is a great starting point for students of Roman history. 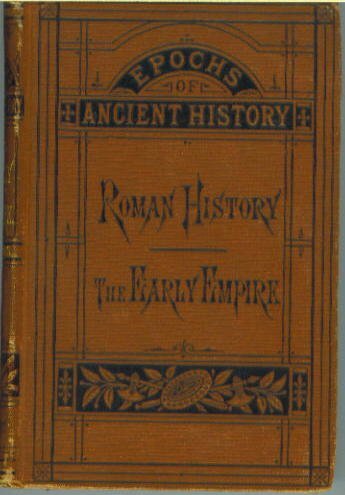 Wells offers a general survey of the Roman Empire from the rise of Augusts to the reign of Caracalla. The book is novel in adopting an alternating view between center-periphery relations. One chapter will adhere to the traditional political and military events of the Roman court. The successive chapter, however, will attempt to provide a broader view of Roman society by highlighting the social and economic affairs of the provinces during the same time frame. One of the major encompassing themes of the survey is inclusion and exclusion in Roman society. Wells makes it clear that imperial Romans had little concept of ethnicity or nationality that we moderns do, which facilitated the incorporation of the provincials into the greater empire. The provincial elites, for their part, usually assimilated into imperial society as Roman law favored the propertied classes. The small oligarchy that had ruled Rome in Republican times soon faded away, to be replaced with "new men" from both Italy and the provinces.Aside from the split between the Greek East and Latin West, the major division in the new order was not a cultural but an economic one.The dividing line was between rich and poor. Even that had a certain fluidity as people moved up and down the scale. Wells hints that the real success of the empire lay in the universal allegiance of the upper classes to maintain order and make profit. Wells is not a Marxist and does not approach the subject from any antiquated or narrow-minded orthodoxy. He breaks ranks with many heretofore cherished assumptions. On the matter of Gibbons painting the rise of Christianity as the decline of the empire, Wells scoffs. To Wells, the "decline" of later Roman society was merely a transition to a new cultural reality (Christianity) with its own particular list of triumphs and failures. There are some problems with this book. The first is that is was written by a British academic for a particularly British audience. Much of the cultural references and idiosyncratic humor is lost on this Yankee, and might be to other readers outside the UK. Another problem lies in its focus. Only the early empire is studied in detail. The later half of the Western empire is largely devoid of analysis, and thus Wells' treatise feels incomplete. The Roman Empire is still worth reading. There are those who say the world is building for itself on a global scale what the Roman Empire accomplished in part: a society where tribal and cultural distinctions pale before a new universal economic reality. Modern day barbarians crash airplanes into buildings to protest the coming imperial order. Somehow the study of the Roman Empire never seemed more relevant. Beginning from the military take over of Rome by Julius Caesar, through Octavian and Trajan to the eventual end of centralized government in the 3rd and 4th centuries, this book neatly organizes the material chronologically while not losing the reader in a hodge-podge of names, places, and events. Dr. Colin Wells does a fantastic job of explaining the culture of the Roman Empire both in Italy and throughout the many provinces (most notably Africa, Egypt, Asia Minor, Germania and Britannia). 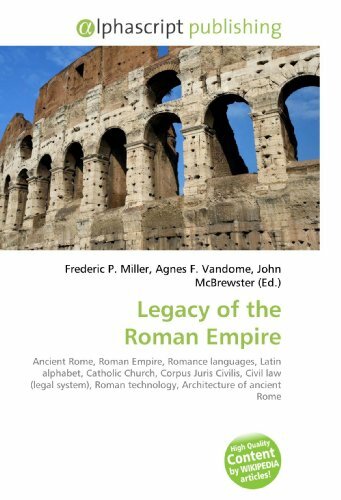 A overtly general book on the period, this historical work is great for the reader that is unfamiliar with the time period and simply wants a thorough discussion on the Roman Empire that touches on all the major topics while not getting too bogged down in the nitty gritty details. Points of contention among researches are raised with Dr. Wells providing his opinion on the matters while still acknowledging the dissenting view. Finally, the book does a really good job of capturing the feel of Rome during this time. 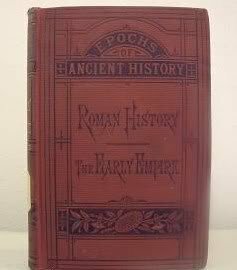 The more enjoyable parts of the book are when he explains the cultural aspects of the Roman Empire: what life was like as a plebian, the Bay of Naples as a senatorial resort for the very rich or life as a legionnaire on the banks of the Rhine or the Danube. 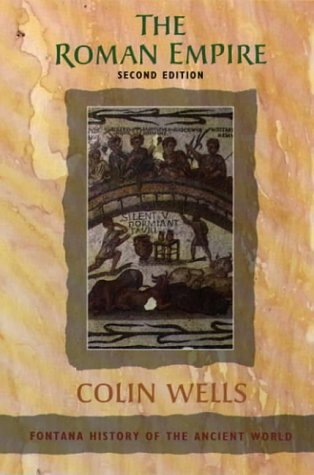 While he does cater to a more British audience (this book was written while Dr. Wells was teaching as an adjunct professor at Cambridge) I highly recommend it as a great "starter" book for those interested in learning about the Roman Empire. 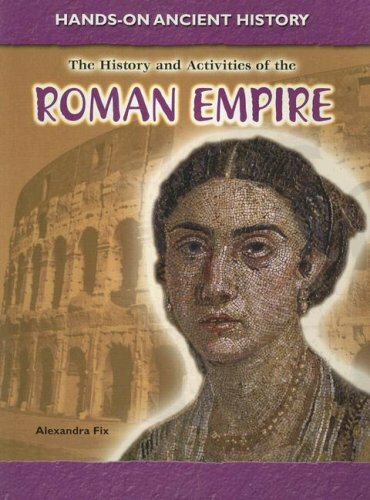 I was excited when I saw this book because I've always wanted to learn more about the Roman empire's eastern frontier. Unfortunately, this book is nothing more than a pamphlet (less than 60 pages) and is too lax with sources. I hope somebody will write a book on this subject accessible to non-historians. In the meantime, we will have to make due with Rome and Persia in Late Antiquity: Neighbours and Rivals. The Catastrophic Era - A Unique Work of History. The Catastrophic era is a very authoritative source of the history of the conflict between Rome and Persia in ancient times. Tim Donovan gives some fresh new perspectives on the wars, their implications, and the outcome. His booklet is very well detailed and states some important facts that other historians generally fail to mention. One of the important points that Donovan makes in the booklet is that the wars with Persia did not bring down the Roman empire. Although Rome had a very difficult time with Persia, the Roman empire survived the ordeal. Donovan mentions some key facts that have to do with how the Roman military actually became stronger. For example, the Romans improved their knowledge of how to fight battles involving cavalry on wide areas of open ground. The lessons were expensive; Roman armies suffered some high casualty rates. However, they were able to learn from the battles that they lost and use improved tactics. The Romans made some changes in the types of armor that they wore. 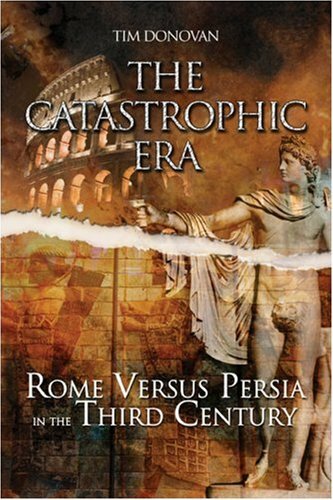 In the last part of the booklet, Donovan refutes the idea that the wars with Persia weakened Rome to a condition that led to eventual collapse. He mentions that a lack of recruits for the army was what ultimate caused the Roman military to decline. That shortage of manpower occurred well after the wars with Persia were over. I highly recommend this booklet. It is very informative and shows excellent insight. It was all the usual stuff I can find in any history book. I was hopping for more. And yes, as someone else has pointed out, the translations are sometimes shaky. 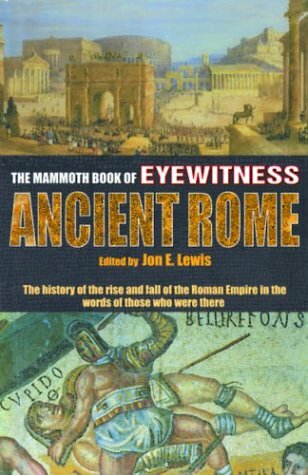 Also, the word "Eyewitness" is frequently a misnomer.One of the most frequently cited authors is Tacitus, for instance, who was by no means an eyewitness to the things he wrote about.Nor was Suetonius, nor Ammianus Marcellinus, nor Cassius Dio, nor Appian.Even Cicero was writing about things that he hadn't actually witnessed in a lot of cases. However, having said all that, this is a fun book to read because of one strong aspect of the editing, and that was selection of material.Most of the texts included here are terrific, from Pliny's account of the eruption of Vesuvius, to humorous letters written by various people (to name just a few things).You really get a broad cross-section of Roman society across the centuries. One thing to note is that a complete novice to Roman history and culture would probably be frustrated by this book.I don't discourage the novice from giving the book a shot, but if you don't know who Cicero was, and Cato and Caesar and Antony and Octavian and Agrippa and Vitellius and Domitian and Trajan and Josephus and Alaric and on and on, not to mention the historical backgrounds of each, then you'll feel somewhat lost reading this book, because it does cover a huge amount of historical ground in a mere 500 pages.If you're motivated to learn, then this will be an excellent book.If you're interested more in casual reading, you might not like it. I really enjoyed this book because it wasn't just a bunch of impersonal historical facts piled into one book. These are writings and historical accounts from those who were present at the time the history was being made. 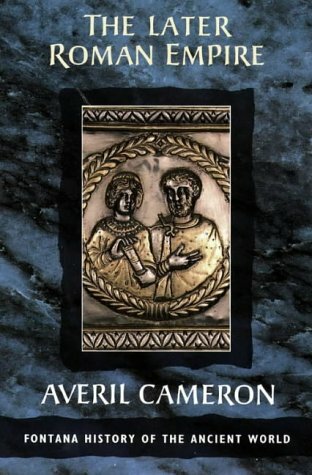 This book gives a unique perspective about the Roman Empire that most history books don't. The book was delivered in remarkably quick time. Well worth the search.The section on horse cults was very useful to my research. The extensive bibliography is also of great assistance in casting the net wider and deeper. If you're looking for a wealth of information with every detail listed then this is an excellent choice.The book is perhaps better used in the way of an encyclopedia: read up on a particular item that interests you; reading the book front to back is a bit tough as the text doesn't flow well and there's too much information to keep it all in mind. Some great primary texts are The Life of Apollonius of Tyana and The Syrian Goddess: De Dea Syria. As the cliche goes, this book often loses the forest for the trees. Full of boring and mind-numbing detail, it belongs in every scholarly or specialist library, but if you are neither a scholar or a specialist then you will probably be much happier with Burkert (Ancient Mystery Cults, Harvard U. Press, 1987) or Godwin (Mystery Religions in the Ancient World, Thames & Hudson 1981). Twenty years later (2008), I do feel that the time is ripe for a new popular survey of this subject, and hope that someone else will pick up the ball! I used this text in preparing a 4 session workshop on ancient mystery religions (www.lukeion.org).I appreciate that this text is thourough and attempted a balanced position on the death of these religions and the rise of Christianity.I believe Turcan did a better job with task one than with task two. 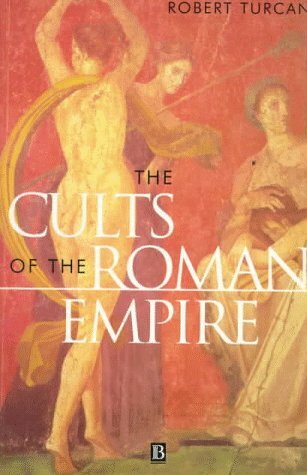 The primary drawback to this text is that it has the less-than-stimulating literary style of an older encyclopedia.Final summation:great reference work if you know the larger issues up for debate on Roman Cults.Excellent, scholarly, one-stop shopping for most cults of interest. Although the Roman empire was one of the longest lasting in history, it was never ideologically conceived by its rulers or inhabitants as a territory within fixed limits. Yet Roman armies clearly reached certain points -- which today we call frontiers -- where they simply stopped advancing and annexing new territories. In Frontiers of the Roman Empire, C. R. Whittaker examines the Roman frontiers both in terms of what they meant to the Romans and in their military, economic, and social function. Observing that frontiers are rarely, if ever, static, Whittaker argues that the very success of the Roman frontiers as permeable border zones sowed the seeds of their eventual destruction. As the frontiers of the late empire ceased to function, the ideological distinctions between Romans and barbarians became blurred. Yet the very permeability of the frontiers, Whittaker contends, also permitted a transformation of Roman society, breathing new life into the empire rather than causing its complete extinction. This is an overview of the Roman Empire Frontiers from the 1st century B.C. through the 5th Century A.D. Whittaker opens with a discussion of just what were the frontiers and how they were considered by both the Romans and the "barbarians". From the beginning he argues several points which were interesting to someone with a limited knowledge of the Roman Empire, such as myself. First he states that there is nothing in Roman policy that indicates they had anything approaching a Frontier "system" - a strategic plan for managing the frontier. Second he argues that evidence indicates that Roman frontier defenses weren't defenses at all - that they were either; staging areas for continued conquests beyond areas controlled by Rome; points from which Rome could maintain their influence over peoples not considered subjects of the Empire; strategic strongholds from which Rome could keep roads and rivers open for reasons of supplying the military or; points by which Rome could control traffic, particularly for the purposes of trade, into and out of the Empire. The final two chapters are entitled; "The Collapse of the Frontiers" and "Warlords and Landlords in the Later Empire." As I am more familiar with this period, I will concentrate my comments here. Whittaker continues a familiar discussion by relating how barbarians, particularly in Western Europe, advanced into the Empire. Aspects of this will be familiar to anyone with an interest in the Late Roman/Early Medieval Period (Late Antiquity). By dividing his discussion by geographic region he is able to depict how various areas of the Empire were lost to Rome. Several concepts were new to me. Whittaker also discusses how late Roman writers such as Sidonius and Ammianus exaggerated the incursions by the barbarians to strike terror into the hearts of Romans and inspire them to resist more strongly. According to this work, the same writers exaggerated the savage nature of the barbarians. Whittaker argues strongly that while the frontiers collapsed, Roman society did not change greatly in areas that were lost. Earlier he discusses how the frontiers were actually rather heavily populated. With the number of soldiers serving on the military frontier, shops, farms, and industry sprang up, on both the Roman and barbarian side, to supply them. The barbarian elite closely resembled the Roman elite, while the lower classes of the barbarians closely resembled the lower classes of the Romans - much moreso than, say, the lower class barbarians resembled their elite. As these barbarians moved into regions formerly controlled by Rome, they brought their society with them - which happened to be largely Roman in nature. Whittaker justifies this view by citing archaeological finds, such as from Fedderson Werde. While focussing on these points of interest I want to note that Whittaker does discuss many other aspects of the frontier such as trade, fortifications, the movement of peoples and traders across the frontier, etc. He covers the entire frontier, including Britain, Africa, and the frontier with Persia, and discusses the various interactions in each area. I felt this was a good work which helped to discuss an area I was not very familiar with. I was somewhat disappointed however, at the broadness with which Whittaker covered it. This work is largely thematic in nature and while he does give some examples, I would have enjoyed more specifics such as on intricacies of trade on the frontier, and some aspects of daily life in this region. I am also not in complete agreement with his thesis regarding the pattern of migrations of Germanic peoples. Still, it was an enjoyable book. It is fairly well written, informative, and well footnoted (endnoted actually). Much of this book is the quest for a coherent Roman frontier policy; the book concludes that there wasn't one. Most of the information in the book is based upon academic speculation ("educated" guesses), because source materials from this period don't tend to focus on the frontier (or even to acknowledge its existence, beyond stating proximities to the mostly meaningless "limes" [boundary markers] of the Empire), and most of the barbarian peoples who crossed the border were illiterate, what we are left with are a few references buried deep in the Roman and late Hellenistic literature of the day, a few official Roman imperial documents, a couple of treaties and scant records of commercial transactions. The archeological evidence cited in the book, showing the extent of distribution of Roman coins and pottery in what were previously conceived to be "barbarian" areas, shows the very fluidity and indistinction of this so-called frontier. All of the archeology included was new to me, and the included maps and figures were interesting and enlightening. 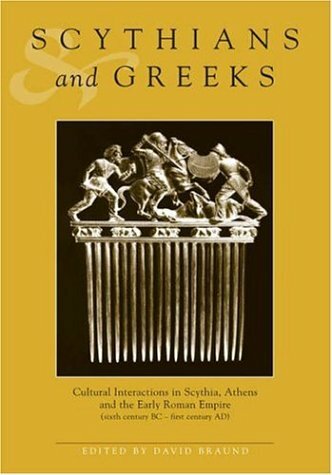 If you are interested in late Roman history, you wish to better understand the edges of the Roman world and the movements of barbarians into and among the provinces of the Empire, or you are interested in the formation of "creole" cultures (and the Roman "frontier" in the 3rd-6th centuries was characterized by a forcible merging of Roman and "barbarian" [mostly German] cultures), this is a good book. Heavy on facts and figures, this book is light on answers, but only due to lack of evidence. A darn good attempt at defining the indefinable. In his book, Frontiers of the Roman Empire: A Social and Economic Study, C.R. Whittaker takes the reader along an historic journey documenting life along the Roman frontier. 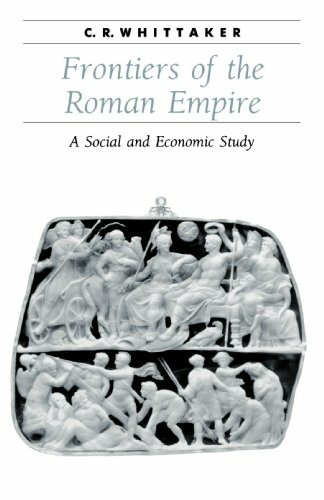 This study focuses on the role of the Roman military, society and economy and the impact they had on the frontier peoples from 100 B.C. to 400 A.D. He discusses the role of trade and how it influenced the establishment of permanent frontier zones along Roman Britain, and the interaction between the British people and the Roman invaders. Whittaker begins his study with a detailed description of the extent of the frontiers and the people whom the Romans encountered, believed to be barbarians. Some of the points he makes is that there was not a Roman frontier policy which determined how they were to maintain the frontier. He claims that the Roman frontier was not a militarily defensive system to guard against the "barbarians", rather he asserts that the military posts along the frontier were only temporary strategic defensive positions where the Romans established control with the intent of pushing further northwards. This is an intriguing paradigm as the various schools of thought surrounding the Roman frontier have maintained that the frontier zone marked the extent of the Roman Empire. Another intriguing aspect of this study is that Whittaker claims that Roman society impacted and influenced barbarian society along the frontier in that the social class stratification which was evident in Roman society was also appearing in the "barbarian" societies as well. There were upper and lower classes developing among the native peoples. When Roman provinces began to fall to the "barbarians" the social class structure that was implemented while those areas were under Roman control was retained when conquered by the "barbarians". rather than battles involving tens of thousands of warrior tribes. In addition, he claims that Roman writers such as Sidonius wrote about the "barbarians" in a propagandistic way, in order to frighten the Roman people living along the frontiers to resist them with more force. Utilizing propaganda to make the "barbarians" appear more savage and threatening, ancient writers helped create a stereotype regarding these "barbarians" which has lasted centuries even after the Empire fell. It is only with recent scholarly examination that modern historians have been able to discern fact from fiction. The barbarians were not in fact as uncivilized as they appeared to be. Graham Webster acknowledges this fact in his studies on Roman Britain, in which he pays particular attention to what society and life were like in Britain before the Roman conquest. 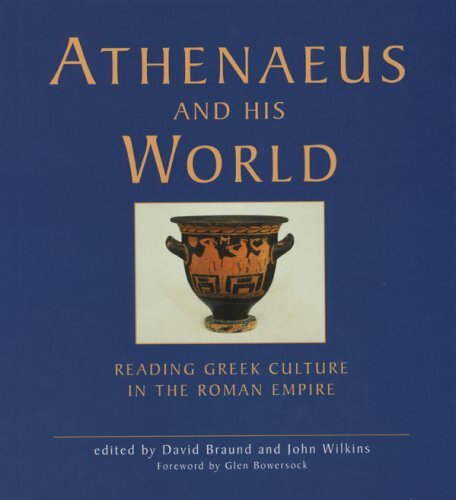 Almost all classicists and ancient historians make use of Athenaeus; 'Athenaeus and his World' is the first sustained attempt to understand and explore his work as a whole, and in its own right.The work emerges as no mere compendium of earlier texts, but as a vibrant work of complex structure and substantial creativity.The book makes sense of the massive and polyphonous Deipnosophistae (Philosophers at Supper), the quarry upon which classicists and ancient historians depend for their knowledge of much ancient literature, particularly Comedy, and also the source of much of the data used by modern historians for the social history of the classical and hellenistic worlds. I'm a project manager by trade...and I love history. "Project Lessons from the Roman Empire" seemed the perfect book for me and I couldn't order fast enough when it first came to my attention. The book is practical and contains a wealth of basic, high level. important project management precepts. 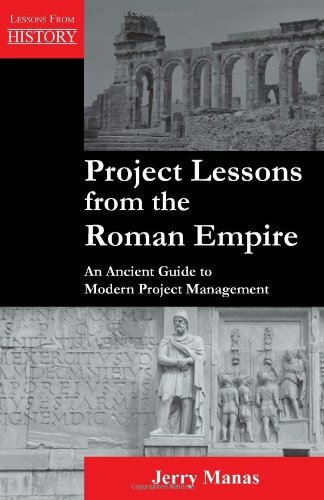 At times, author and project management guru Jerry Manas does a nice job tying in modern project management with lessons from the Roman Empire. At other times, I feel his connections are stretched too thin. This is a handbook that's rich is short memorable tips on solid project management. Manas weaves historical allegories into examples of real world project management. He delves into the Roman Empires beginnings, peak, and downfall to find relevant analogiesto the real world. - Romans planned and analyzed potential risks extensively when preparing to build a city. For example, they built sidewalks higher than streets to limit vehicle-pedestrian accidents and protect citizens from floods. In the real world, project managers should build risk management plans that account for disaster, growth and maintainability. - So much is known about the Romans because they documented their lives so heavily. In the real world, project managers need to document lessons learned throughout a project lifestyle, while things are fresh in your mind, and document in a shared location. - One of the driving factors of the decline of the Roman Empire was it's division into two separate entities initiated in the 3rd Century AD. It's decline was quite precipitous, once the Empire established two capitals and emperors - one based in the east and one in the west. In the real world, project managers must be clear in their project's vision and message, and must steer away from the team taking direction from multiple leaders. I would've loved if Manas had gone even deeper into a historical analysis to drive home his points and references. I was expecting more detailed case studies of specific Roman projects in comparison with it's modern relation. That aside, if you're looking for something lightweight, and that provides easy-to-read and memorable project management tips, this is a good choice. This is not a history book, though a very brief but effective historical outline from Rome's rise to fall is offered. There are also a few tasteful photographs included, as well as a decent bibliography, but again it should not be mistaken for a scholarly treatise on Rome. Rather, it is written more like a presentation on Roman leadership techniques for the busy manager on-the-go, with bullet points and boxes of highlighted information scattered liberally throughout its slender volume. A quick read, it might be the perfect companion on a short flight, or perhaps to be explored on one's lunch hour. Rome succeeded for the following reasons: it believed in itself and what it was doing; its subjects generally subordinated their lives to furthering the goals of that corporate vision (what the author calls "alignment"); it fostered a sense of innovation and engineering enterprise without seeking to "reinvent the wheel"; its leaders believed in family, community and education to enrich their lives and offer a viable support base for themselves; it had a knack for organization, contingency planning, and risk assessment; and finally, through both legal and material incentives it secured the loyalties of its subjects and allies. According to Manas, these are all lessons that modern companies and individuals need to apply to get ahead. Manas also outlines where Rome fails, chiefly in its latter history: a higher ratio of bad executives compared to the good (the incompetent or psychotic emperors); having too many managers in one office (the division of the empire into rival sectors); the influx of a lesser caliber of employees who did not firmly share the organization's goals and methods (the barbarization of the army and the Germanic invasions); an increasingly hostile and bloated corporate culture that alienated its subjects; (the higher taxes, corruption and increased bureaucracy of the Dominate). Manas sees Augustus as the superior CEO, able to effect change through an entire system with strategic foresight and prudence. It indeed is the rare manager that can combine superior vision with practical restraint, and who can affect profound corporate transformation without proving guilty of either micro-management or megalomania. In the sum, Project Lessons from the Roman Empire touches on Do's and Don'ts of effective corporate governance. Its lessons are quick but timely, historically based but practically oriented.